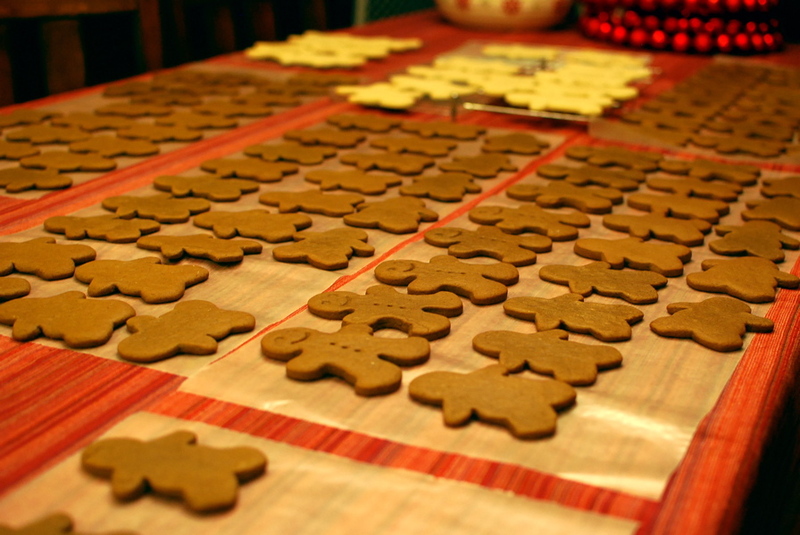 when one of my former junior league sisters hit me up to do a bunch of gingerbread men cookies for her, i figured i'd just go back to my old standby from last year. but as i found myself lacking ground allspice (i have a shitload of whole allspice berries but didn't really feel like grinding them), i went on a hunt for a new recipe to try. of course, pinterest came to my rescue with this one that sounded rather intriguing - it involved boiling a few of the ingredients together to make a syrup of sorts, adding the dry ingredients to mix into a soft dough, and then refrigerating overnight. 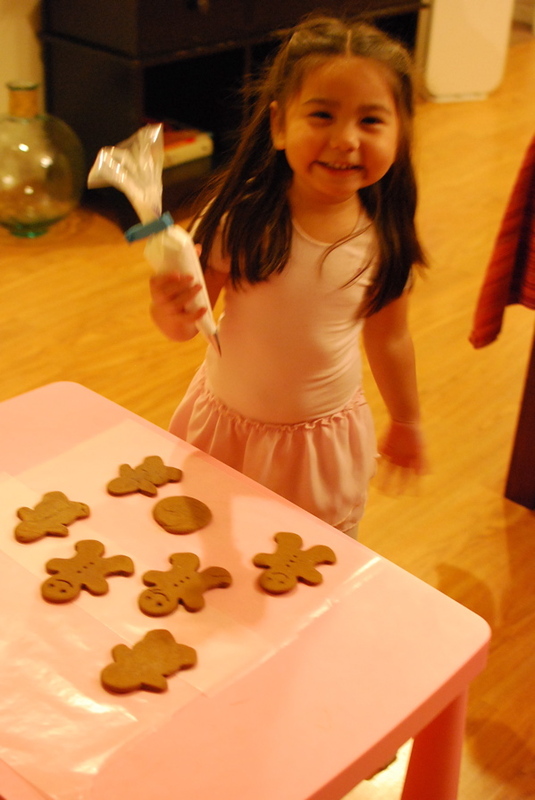 i also had a couple of dozen cookies to make for one of my twirlie friends, so i made two batches. of course, as i rolled and cut out the dough the next morning, i came up short. oops. i ended up using last year's recipe after all, because i didn't have the time to let the dough sit in the fridge for eight hours. pulling out sheet after sheet of fragrant cookies, combined with the fresh tree in our living room totally made the house of wan smell like the epitome of christmas. 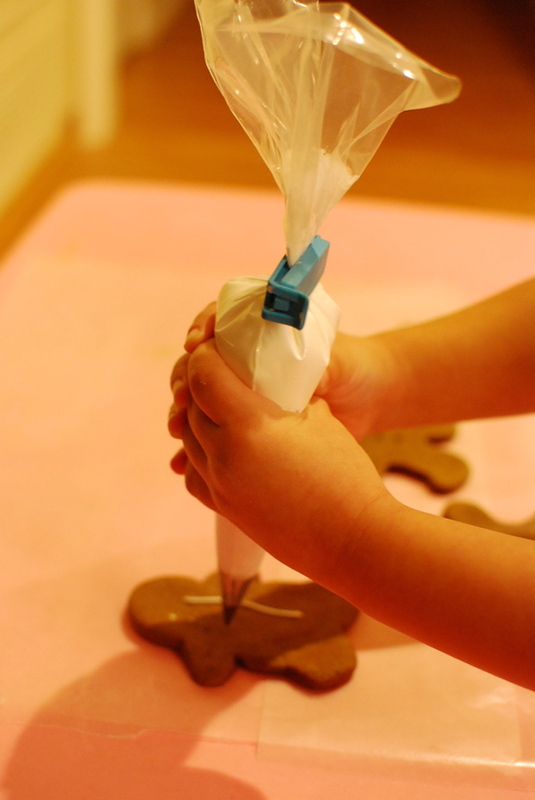 the hub likes gingerbread cookies too, so i went ahead and baked up a few extra cookies and thought it would be fun for the bean to have her own bag of frosting to decorate them for him. she was pretty excited to see the setup i had for her when she got back from dance class. i haven't used royal icing in a really long time. and now that i'm spoiled by the taste of the cookie glaze i use nowadays for my sugar cookies, it isn't my favorite anymore. it's really rather...meh. 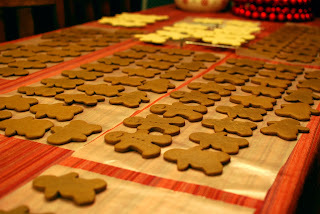 but it's the right consistency for gingerbread men, so that's what we used. 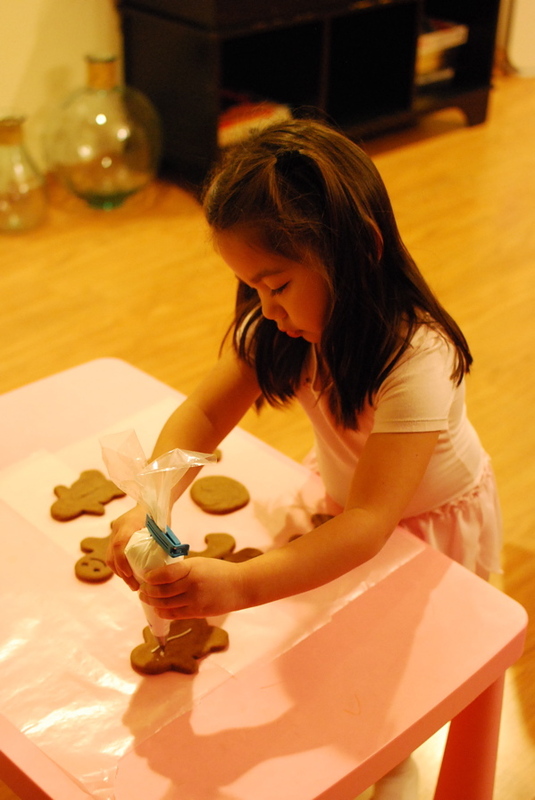 she was very focused on the task at hand. and the hub was quite appreciative of her efforts as he bit into that frosting-laden cookie. i may have a darn good little assistant on my hands in the very near future. The bean looks so focused! Too cute....I bet she'd make a wonderful cookie assistant!